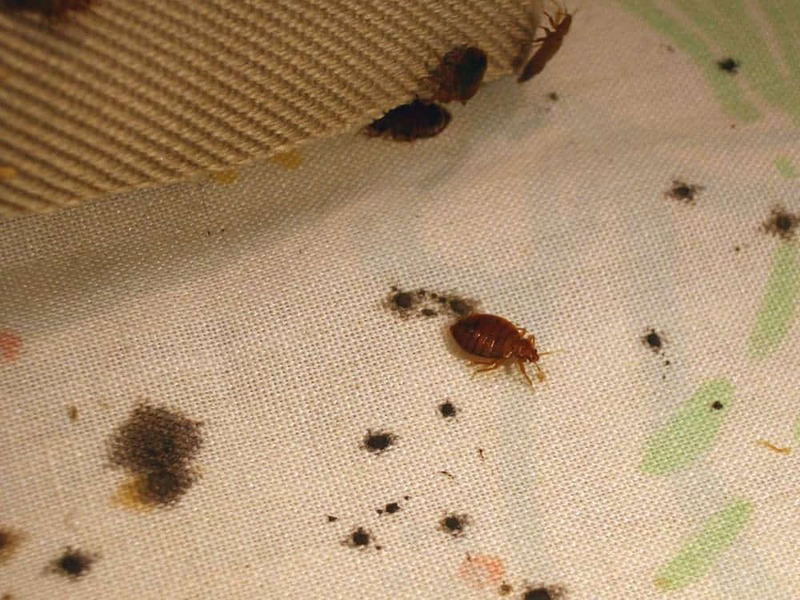 Everyone knows that bed bugs tend to hang out in people’s beds at home and in hotels. More surprising to people though, is when they hear that you can get bed bugs in your car, too. It doesn’t seem possible for them to live there, but unfortunately, those little hitchhikers can, and do thrive in people’s cars. 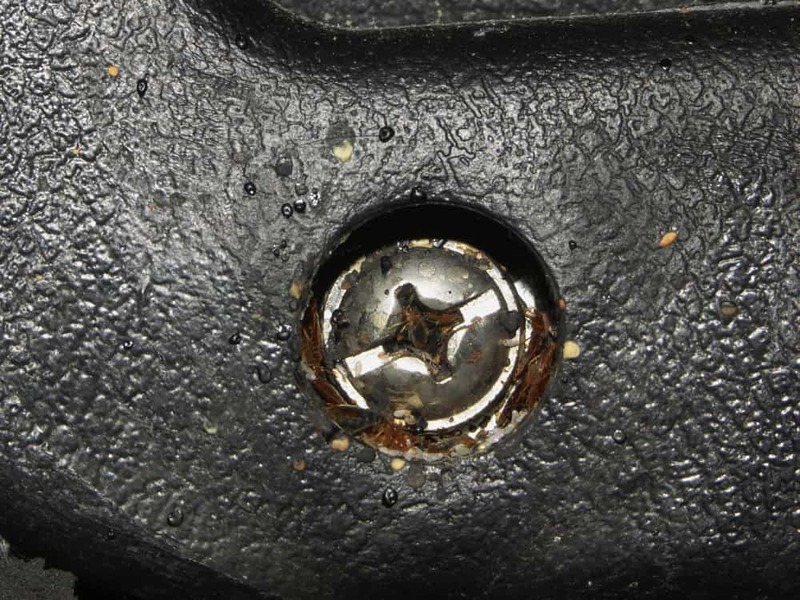 Keep reading to learn everything you need to know about bed bugs in cars, and what you need to do in order to successfully and permanently get rid of them. How Do Bed Bugs Get In Your Car? The short answer is yes, bed bugs can live in your car. It’s far more likely to find them in your house or hotel room, but it is possible for bed bugs to set up shop in your car. Usually, bed bugs use a car just as you would – as a means to move from one place to another. But, in rare occasions, you might find you have an infestation going on right in your car. 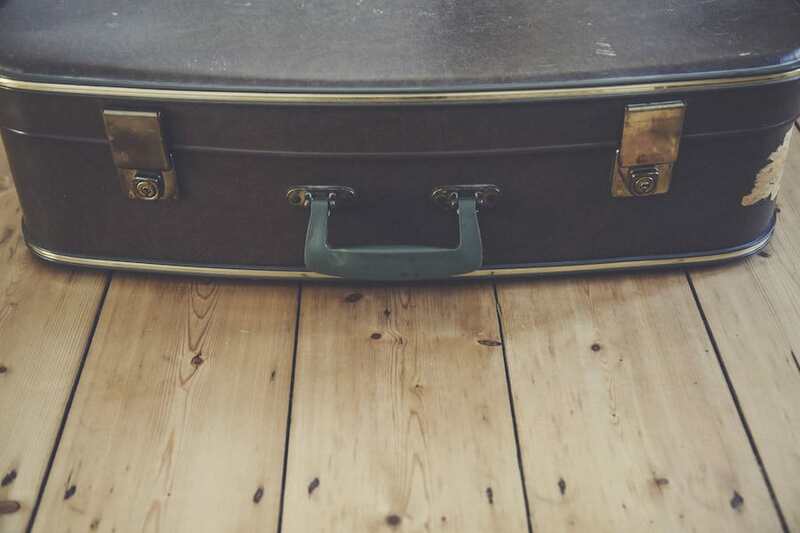 Bed bugs get into your car by hitching a ride on you or your luggage. So if you’ve been to a hotel that has a bed bug infestation, they can work their way into your bag. When you’re checking out, you’re unwittingly bringing a few extra guests out of the hotel and into your car. Or, if you’ve been to a friend’s house and you’ve had a nice visit sitting on their couch and talking, you might be unlucky enough to have a bug or two attach themselves to you. When you go into your car to drive home, they may decide to stay attached to you until they reach your home. Or they might get off of you and stay in your car. If you tend to spend a fair amount of time in your car and after driving somewhere you’ve noticed red welts on your skin that cause you a lot of itchiness, you may want to consider that there might be bed bugs in your car. Cars can be difficult to clean, even under ordinary situations. There are so many crevices and nooks in the car that picking up crumbs can be a problem, let alone trying to remove unwanted bugs that will do their best to evade you. But there are ways to fight your way back from an infestation. To determine if you have bed bugs in your car, you’re going to have to roll up your sleeves and get to work. It won’t be easy, but you’re going to have to check all those little hiding places bed bugs can work their way into. Finding bed bugs during the day is usually tougher, but with a thorough search, you should be in good stead to find at least some evidence if you do happen to have an infestation. You’ll need to check the center console after removing all the items you might have in there. Throw away any trash they could be using as a hiding place. Check in and all around your driver’s seat and your front passenger seat to see if you can find any evidence of living or dead bed bugs. Pay special attention to the seams of your car seat. They’ll like to hide there just as they do with mattress seams. Because the floors of your car will likely be dark, it can be hard to find stains and other evidence of bed bugs. You can try to press pieces of tape onto your seats and floor mats. Once the tape is securely attached, pull it off and check to see if there are any bed bugs on the tape or any exoskeletons. You might find that a magnifying glass and a powerful flashlight will help you with your search. 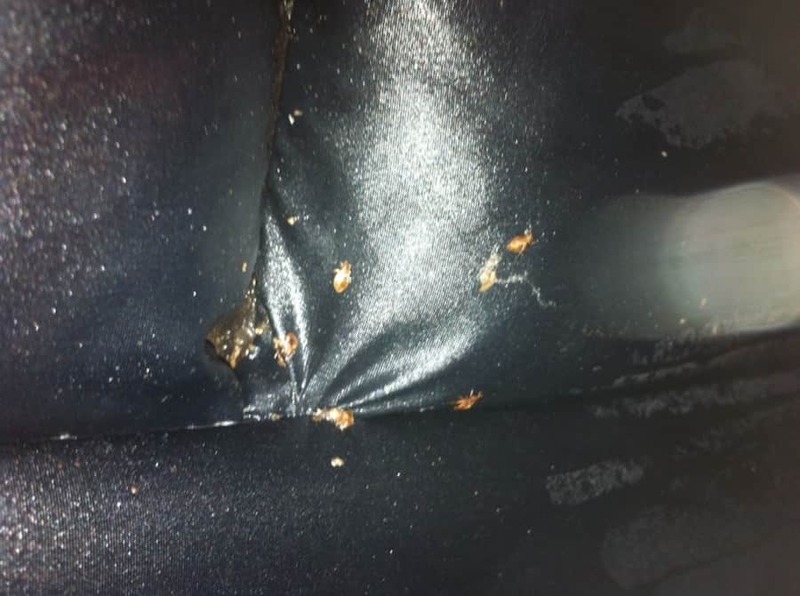 If you find items like small, dark red spots, shed exoskeletons, dried feces, and blood smears on the seats or other areas of your car, you’ve found the evidence you need to be certain bed bugs have been in your car at some point and may still be. If you find signs like these, it’s time to get to work to remove any traces of bed bugs from your car. It’s going to be a fair amount of work, but with some dedication and know how, you should be able to do it. Remove all trash from your car, as well as any of your possessions. You should even take all the items out of your glove compartment too. Take out the floor mats and vacuum them thoroughly using a powerful high efficiency particulate air model if you have access to one. The vacuums at car washes are generally very powerful and will do a good job of lifting bed bugs out of your car. Make sure you vacuum out the glove compartment and that you get in all the cracks and hiding places in your car where the bugs will flee to. You’ll need to concentrate heavily on vacuuming every inch of your car seats. And you shouldn’t forget to vacuum your trunk either. Every spot of your car should be addressed to remove the infestation. After you’ve vacuumed your car, you have to take it one step further and do some steam cleaning. If you have a machine or can rent one, you can do it yourself. If not, you’ll have to pay to have it done professionally. After you’ve done all the vacuuming and steam cleaning you can do, it’s time to look for a bed bug powder. You might want to use one that doesn’t contain harsh chemicals. In addition, for some people, it’s important to use ones that won’t harm any children or pets that are traveling in the vehicle. One suitable kind of powder that has the ability to kill bed bugs without the unwanted side effects is diatomaceous earth. 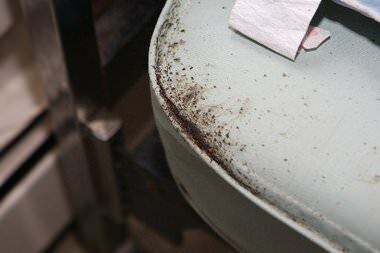 This kind of powder works by sucking up the oily layer that is on the exoskeletons of bed bugs. After that oily coating is absorbed, bed bugs will die within hours. If you don’t like the idea of having diatomaceous earth placed throughout your car, you can vacuum it up after a couple of weeks if you want. Even though it kills bugs in a few hours, it can take a while before every bed bug in your car is exposed to it. Plus, it won’t have any effect on eggs – it only works on mature bed bugs. That’s why you should leave it in place for weeks. If you still have bed bugs in your vehicle despite your best efforts to remove them, you might want to call in the experts. They’ll have all the equipment they need to get rid of these pests from your car. It won’t take them nearly as long to accomplish as it would for you because they’re used to dealing with these little pests all the time in their jobs. You’ll have to shell out some money to hire them, but if you don’t have the time or motivation to do the removal yourself, it’s a good solution. Sometimes your best efforts won’t be enough. 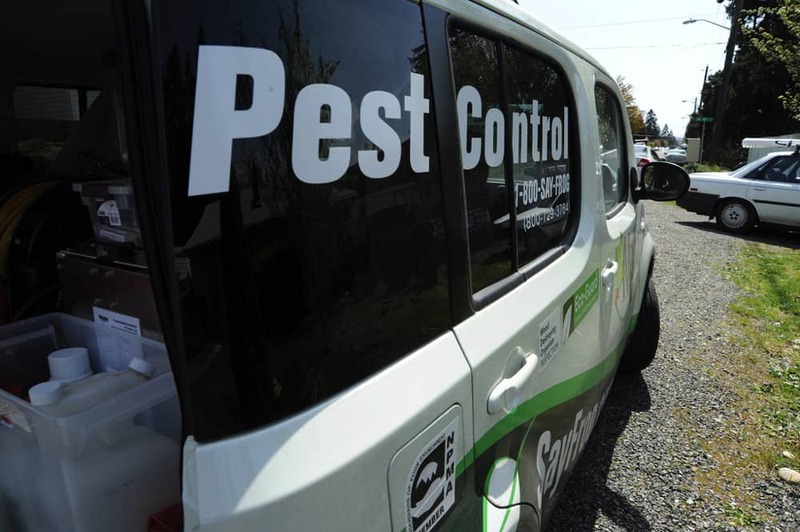 If your car is older and you’ve been thinking about trading it in anyway, a bed bug infestation might be just the incentive you’ve been waiting for. You might want to consider getting a new car if the efforts to remove the bed bugs from your current car will cost too much compared to the value of the car. You should take any possible infestation of your car very seriously. Once bed bugs invade one area of your life, it’s easy for them to infiltrate other spaces too. 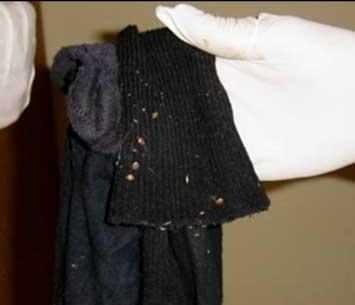 A bed bug can easily hitch a ride on your clothes into your home. And if that bed bug is a pregnant female, you’ll soon have more than one bed bug to deal with. Bed bugs can live a long time without a host, so simply not getting into your car for a few weeks won't help I'm afraid. You also run the risk of spreading the bed bug problem to your workplace, as well as the homes of any friends or family that you visit. And until you are confident the bed bug situation in your car has been fully taken care of, you shouldn’t let other people ride in your car either. You could put them at risk for becoming infested too at their homes or workplaces. It can be embarrassing to admit you have a bed bug problem, so you don’t have to come clean with your friends about it if you don’t want to. You can always be vague about why you don’t want to give them a ride or take your car when you go on any trips or outings. Having bed bugs in your car can be an embarrassing situation that can cost you a lot of time and a fair amount of money. If you notice any signs of them, you should start addressing the problem right away. Letting it snowball can make it harder and more expensive to get rid of. It can be a frustrating problem to have, but if you give it your best shot, your car will be back to normal in just a few weeks.